Well, not really. Or, maybe kind of. At least a little bit, if not totally, and not forever, just for a little while, and maybe not even that long. I’m going away. Rather, I’m going back. Some of my friends work for people who send them away for stretches of time in exotic locations. Or if not exotic locations, at least the sort of locations which seem exotic because in order to get there one has to fly over a very, very, very large body of saltwater. I mean London really isn’t considered exotic, especially to Londoners, and likely very few people in this world would consider Eastern Europe to be exotic. Thailand, however, and other places thereabouts has a bit of the exotic about it. Maybe exotic has to do with the weather as much as the culture. So, I could say my friends go to different places, but that sounds like they have decided to go to Burger King for a croissanwich breakfast instead of to McDonalds for an egg McMuffin. That’s clearly not strong enough of a word, being they have to fly for roughly a dozen hours in order to get to their oftentimes non-exotic, yet entirely different location. I mean, no one in their right mind would wait a dozen hours for a bit of sausage and egg on a soggy croissant, even if it is marginally better than a bisquit. And since, according to my estimation, my various friends are in their right minds, there must be something about going to where they go that while not exactly exotic, has at least an exoticness about it. All this to say that I’m going away, and while when some of my friends go away the appropriate question is “which continent?”, my going away entails the more mundane question of “which freeways?”. But it’s a going away, or at least a going back, since I’m going to stay for a couple weeks or so where I used to spend virtually all my time for a number of years. I’m going to Pasadena. And while this may sound intriguing to those who know this city as the place of the Parade and the occasional college football National Championship. I’m going to take a class, I think. I think, because I am… auditing the class. This means if there are paying students, I don’t get to take the class. However, by auditing the class I also can participate, without being required to do those pesky parts of class called assignments. Though, if I can, I think I might have a go at some of the assignments. We’ll see. It’s a class on the Emerging Church in the 21st Century, which is sort of like Buck Rogers in the 25th century, except for the rocket ships, silver jumpsuits, robots, maniacal dictators and scantily clad space-babes. So, really, there are likely very few things in common. I suspect, though, there will be a nice selection of variously groomed men and women, displaying all manner of exotic, or at least different, approaches to personal public display. That’s something I guess. Blogs, wikis and podcasts, oh my. Now if this class were in fact a lot more like Buck Rogers than it actually is, these would clearly be the names of three helpful robots. It is not, and these are not. Instead they are ways for people to say stuff online. Their fancy names hide their significantly more mundane reality. A blog is what I think about all sorts of stuff. A wiki is what a group of people think about more official things. A podcast is basically like a blog, but instead of writing about stuff, you say it, record it, and people listen to it online. Now, all this the case I have a confession to make. I don’t really like computers. I spend a decent amount of time in front of one, for the convenience and for a bit of vocation, but I don’t like them. I have another confession to make. When it comes to church I am a back to basics sort of guy. My thinking is that the problem with church these days isn’t that we don’t know what it is the young people are wanting out of a religious experience, it’s that we spend a lot more time on peripherals, and hardly any time on the essentials. I’m a full believer that a church should be, maybe primarily, a place where people pray. I think knowing Scripture is the key to a Christian view, and I think people go to church in order to meet Christ, not to see how trendy the new wave of Christ followers might be. Now, as you can tell I’m going away, and I’m going away to be enthusiastic and meet people, and share thoughts, and listen to those who really know what they are talking about. But, there are vestiges of grumpiness in things related to Church for me. I need to be thankful, and delightful, not critical and doubtful. This isn’t a going away for me to prove myself, or establish myself, or reveal myself. It is not “my time has come” or “look what I can do everyone”. Indeed, I have no expectations. I go because it feels right for me to go, and listen and hear. Part of this class is keeping a blog apparently, which is what this is, so that won’t be something new. However, if I can’t post here, or don’t post anywhere, or no posts are seen at all, it’s because I’m going down the mountain to Pasadena, and am not bringing my computer with me. It took me a very long time to get to saying that last sentence. If I do post it will be from a library, or borrowed computer, and will most likely have to do with churchy things. For those who keep track of things, this means there will not be a picture of a junco, or a chickadee, or a coyote, or a tree, or a jay, or a sunset, or a chipmunk for a couple of weeks. But, after this class is done Present Manners will resume its normal schedule. I’ve said it before, and I say it again this morning. The key to coffee isn’t in the making of it, it is in the drinking of it. When you make coffee early in the morning, and wonder why later in the morning you’re still groggy and unmotivated, it’s a good thing to check to see if that coffee pot downstairs isn’t in fact still full. Of course you can’t drink the coffee unless you first do make the coffee. But that goes without saying. The key to it all is in the drinking of it. Well, Hamas won the elections in Palestine, which likely will have all manner of people putting on sackcloth and covering themselves in ashes. However, when I first heard about it this morning I had a different reaction. Maybe its because I have a strong inclination to shaking things up if there is entropy or stagnation. If it’s not working, juggle things around and see how it lands. The worst situation to be in is motionless, especially if the place of non-motion is altogether awful for all involved. Yes, things may get worse, and that’s a definite risk, but things may also get better. Either way new questions will have to be asked and people will have to become active again in answering these questions. Hamas now has to do in action what it has done in rhetoric. It is in charge, and the state of things will now be on Hamas’ shoulders. Either this will result in Hamas becoming appropriately responsible for the people, rather than using the people as human fodder for political extremism. Or they will show themselves to be unequal to the challenge, thus exposing their leadership as frauds and thus in future years destroying their support. The Palestinian people have heard the rhetoric of Hamas for decades. Now they give them a chance to step up to the plate. And this, in the long run, is a good thing. Put up or shut up, Hamas. There will be no excuses or ambiguities when Hamas fires rockets on Israel and launches suicide attacks against civilian targets. Until Tuesday, the PA could hide behind the excuse that they were not directly responsible and they could not rein in the “militants.” Now the “militants” are the militia of the ruling party. They are one and the same with the Palestinian Authority. If they bomb Israel from Gaza â€” not under occupation anymore, and is therefore, technically, part of the Palestinian state the PLO proclaimed in Algiers in 1988, but never bothered to take responsibility for â€” that is an act of war, which can be responded to in kind, under the full cover of the internationally recognized right of self-defense. No more excuses that the Palestinians live under occupation, that the PA is too weak to disarm Hamas, that violence is not the policy of the PA. Hamas and the PA will be the same: What Hamas does is what the PA will stand for. Continuing to pursue a violent path will automatically switch off all international aid. Perhaps Hamas intends to offset the resulting loss of revenue by hosting Holocaust-denial conferences in Gaza and terrorist training camps in Rafah, but it will still have to explain to the Palestinian public why itâ€™s better to renounce public aid to wage war. So far the Palestinian people have been far more damaged by the corruption of their own leaders than anybody else. This election, if nothing else, pushes out those who have proven to be corrupt, and lets in those who may be violent and wicked and misguided, but may also turn out to at least be honest in helping those who depend on them. Responsibility is a maturing force, and it will be interesting to see how Hamas now transistions into political adulthood. Today, in the Eastern Churches at least, the feast of Gregory of Nazianzus is celebrated. Such a name sounds a little tongue tying, and if you’re Protestant you may be suspicious of this figure of church history. However, you have to think in different terms. Basically, Gregory was a lot like the 4th century version of Dallas Willard. Except he was more educated and more spiritual (note this isn’t at all a dig at DW). Or we could say he was like Rick Warren, except entirely more deep and profound. He did not just aid in the Church in being a pastor, he was also a profound theologian during a time in which the Church didn’t quite have a firm grasp on the bounds of belief. There are people who are good Christians, who are honored by God. Among these people there are those who resonate even more broadly, echoing through the centuries so that even when we do not know their name we are vitally affected by their having lived and believed. Gregory of Nazianzus was such a man. 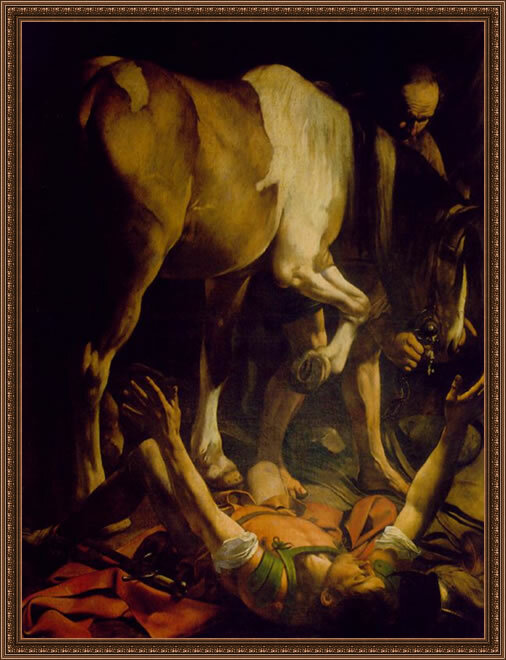 According to my church calendar, today is the feast of the Conversion of Saint Paul. Until recently, the incident which occurred on the Damascus road has commonly been referred to as Paulâ€™s conversion, but recent discussion has debated whether or not this is the best term for what brought Paul into Christianity. Much of this debate hinges on the definition of the term â€œconversionâ€, so it is here that a discussion of the topic should begin. There have been two uses which have dominated. The first is the traditional concept of conversion as â€œthe process by which a person who struggles with a sense of guilt and inferiority becomes a person with a conscious sense of being right and unified as a consequence of achieving a firmer hold of religious realities.â€ Although this has been a long held view, an examination of Paul may lead to some doubt whether he dealt with a â€œsense of guilt and inferiorityâ€ at all. Stendahl, in his book Paul among Jews and Gentiles, challenges this view, saying that this idea comes from an â€œintrospective readingâ€ by Augustine and Luther, and that this event is more of a call than a conversion in the traditional sense. The second, and more recent, definition of â€œconversionâ€ is very different from the traditional view. Conversion here is defined as a change in community, causing a re-interpretation of life and thought. This is the view that C.K. Barrett holds to, saying Paul was indeed converted, and that there is not a distinction to be made between being given a new vocation and being brought to Christ, both happen at the same time, and both are part of the change of life that happens to all that are converted. It is impossible to argue that Paul did not change communities and begin to re-interpret his past in light of the Damascus Road experience. The question, however, arises whether what happened to Paul can be correlated to what happens with all Christians or whether there was something unique to Paul and his experience which requires a term that signifies this uniqueness. This event is not the typical manner in which other Christians entered the Church. Rather than being convinced, Paul was told in a way that left no room for argument that he must become a Christian. What we see on the Damascus Road is comparative to the calling of the original Disciples, and especially to the calling of the prophets and Moses. Paul did experience a change of life, and changed communities, but before he even had a chance to reflect on this, or even realize this, he was given a task to accomplish. He was not facing an internal struggle, rather as Brown states â€œbefore a dramatic moment in the mid-30s Paul had been at peace with his upbringing, with himself, and with his God.â€ And unlike Nicodemus for example, in which the message is presented, and a response dependent on the hearer, Paul is not given a choice, so it is different than the typical conversion that all Christians face. The uniqueness of this event, in its force of power and command, causes a need to seek a term that differentiates between what happens in the hearts of most Christians and the event that brought Paul into Christianity. So, it is more precise to use the term â€œcallâ€ rather than conversion in relation to what happened with Paul. 5″Who are you, Lord?” Saul asked. 17Then Ananias went to the house and entered it. Placing his hands on Saul, he said, “Brother Saul, the Lordâ€”Jesus, who appeared to you on the road as you were coming hereâ€”has sent me so that you may see again and be filled with the Holy Spirit.” 18Immediately, something like scales fell from Saul’s eyes, and he could see again. He got up and was baptized, 19and after taking some food, he regained his strength. 23After many days had gone by, the Jews conspired to kill him, 24but Saul learned of their plan. Day and night they kept close watch on the city gates in order to kill him. 25But his followers took him by night and lowered him in a basket through an opening in the wall. 26When he came to Jerusalem, he tried to join the disciples, but they were all afraid of him, not believing that he really was a disciple. 27But Barnabas took him and brought him to the apostles. He told them how Saul on his journey had seen the Lord and that the Lord had spoken to him, and how in Damascus he had preached fearlessly in the name of Jesus. 28So Saul stayed with them and moved about freely in Jerusalem, speaking boldly in the name of the Lord. 29He talked and debated with the Grecian Jews, but they tried to kill him. 30When the brothers learned of this, they took him down to Caesarea and sent him off to Tarsus. 31Then the church throughout Judea, Galilee and Samaria enjoyed a time of peace. It was strengthened; and encouraged by the Holy Spirit, it grew in numbers, living in the fear of the Lord. For you have heard of my previous way of life in Judaism, how intensely I persecuted the church of God and tried to destroy it. I was advancing in Judaism beyond many Jews of my own age and was extremely zealous for the traditions of my fathers. But when God, who set me apart from birth and called me by his grace, was pleased to reveal his Son in me so that I might preach him among the Gentiles, I did not consult any man, nor did I go up to Jerusalem to see those who were apostles before I was, but I went immediately into Arabia and later returned to Damascus. Then after three years, I went up to Jerusalem to get acquainted with Peter and stayed with him fifteen days. I saw none of the other apostlesâ€”only James, the Lord’s brother. I assure you before God that what I am writing you is no lie. Later I went to Syria and Cilicia. I was personally unknown to the churches of Judea that are in Christ. They only heard the report: “The man who formerly persecuted us is now preaching the faith he once tried to destroy.” And they praised God because of me. It is always heartwarming in this technological and rationalistic age to read that some of the old ways, mysterious and primal, still abound, coming out at curious times. A construction company has been forced to halt its plans for a housing development. Why? Because of the fairies. If only Lake Arrowhead had fairies who lived under the rocks, and would be disturbed by the bother of construction. Ah, such a prosaic neighborhood I live in. Though, seriously enough, I suspect part of my perception here is that I really don’t know the land as well as I should, and I am still hidden to its mysteries. Those in St. Fillans, know their land, and know what is real. Even if technology and rationalism might disagree. As noted below, I am not a Catholic and I have particularly protesting reasons for not being such. However, even if I don’t see the Bishop of Rome as my controlling authority, this doesn’t mean I do not respect the man. I think this is the ancient way of understanding the role of Bishops. They are not arbiters of the Spirit as they began to suggest in later centuries, but rather their authority and influence should come from their study and holiness. For far too many centuries the hiearchy dismissed both of these qualifications, and in my estimation the Holy Spirit dismissed the monolithic authority of apostolic succession. There is no succession if it is not in fact apostolic. Today, though, the new Bishop of Rome, Benedict XVI released his first encyclical. This is an official teaching given extra potency because of the author. I give it extra respect not because of the position of the author, but because of the man who is now bishop. He is more learned than I, and most likely also more holy and devout. So, I listen with respect. And I also respect the subject of this new teaching. It’s about love. I appreciate this because in my head this ties Benedict XVI to the early church more solidly than any supposed linear connection. One of the biggest revelations for me, someone who grew up in the Evangelical Church, when I read the early church fathers was their great and total emphasis on love. Love was everywhere. It astounded me because this was no longer part of the conversation I knew as a Christian in this century. Or, at least, it wasn’t so entirely thoroughly ingrained in the Faith. We talk about love, but it’s an add on to our other emphases. Sort of like the Holy Spirit… hmmmm…. I’ve not read through this piece by Benedict yet, but I shall today, and I’ll likely have a bit of thoughts later. I may not be a Catholic, but Benedict is a Christian, and a wise one at that, so it would do me good to pay attention to this man who is not my father, but is my brother. Oh! : by the by, a person really has to like the Vatican’s choice of background on their webpage. Another Oh! : Now that I’m reading through this myself, I can’t help think of the Da Vinci Code, which essentially is a celebration of fertility cults, if my memory serves right. Benedict XVI may have higher motives, but it seems he’s putting into context the Church’s teaching contra to Dan Brown’s version of such. I guess people might still argue that Brown knows more, but such people would really be silly. Art, it seems, is a reflection of the imagination of the artist. It is the presentation of an image or thought that was contained within the mind of this individual, and whose talent to reproduce this image gives the gazer an insight into the mind of the artist, as well as a taste of the insight itself that the artist had in seeking to reproduce this image in a physical medium. Art has as many meanings and purposes as there is variety of meaning and purpose in the human mind. To limit art to only a single stance would be to limit the ability of the person to a single response. Art, at its core, provokes the viewer to see something in a new way, whether through portraying a scene or person no longer able to be seen at all, or by expressing reality in a way which does not necessarily portray simply what we can see with our eyes. Nuances become highlighted, with shapes, colors, individual people or things highlighted so as to point to a more refined way of understanding that which is seen. Sometimes this is not a scene at all, but rather, especially recently, shapes, colors, and forms themselves become highlighted in isolation from any attempt at connecting these with an identifiable subject. Whether real, augmented reality, or pure imagination, art pushes the viewer to see as the artist sees, to be drawn into a particular philosophy or theology without verbal argument or even, necessarily, cognitive awareness. Art sparks that which is underneath our intellectual selves, creating a connection between the viewer and the artist which mere words can never achieve. This connection, then, can be used in manifold ways to communicate whatever it is the artist desires, intentionally or unintentionally. Art is insight, insight into the world in which we live, and the people who live in it. Art of times past can indeed be more effective insights into history than written documents, not only for the images themselves, but also for the psychology of the time which would produce such an image. To view art is to see that which otherwise might have never been seen, to be pointed towards a more profound way of seeing itself, and to feel the strength of an argument or theology with our entire being. In short, art is transformative. What makes art in my estimation? It is transformative, whether by skill or by intent, it provokes the gazer, listener, watcher, participant to change in some way. If it is not transformative then it is not art (though it need not be transformative to everyone of course). Transformative is a vague term. We can easily get the sense of it, and can find all manner of analogies which help us understand transformation, from butterflies to robot toys of the 1980s. So, it’s not a hard term, but it is a vague term because it doesn’t say anything except what is happening. Scrooge, through the visits of Marley and the three ghosts, was transformed from a Bah Humbug to a Merry Christmas. Dr. Jekyll on the other hand went from a noble and gentleman doctor to become Mr. Hyde, a fiend and a cad. In this we see that a person, or people, can transform upwards or transform downwards, reaching up to the heavens or descending closer to the pit. Art then is defined by being transformative but this doesn’t say in what way Art is transformative because that depends on the art and on the artist and on the culture in which the artist works and on the culture of art which produces the artist. What is curious to me now, however, is that among art enthusiasts these days there only seems to be one understanding of what constitutes good art. Art is only art if it is transformational downwards. Take this quote from a recent article about the Oscars this year. After his suggestion that Brokeback Mountain is the frontrunner for best picture the author then notes: “In the past, Hollywood has often opted to support films making a statement. Last year’s winner, “Million Dollar Baby,” was far from your typical popcorn fare, dealing with the divisive issue of euthanasia. 2002’s winner, “A Beautiful Mind,” tackled mental illness, and “American Beauty,” which won in 2000, peered at suburban mid-life crisis. Other Best Pictures that could be said to have an air of importance include “Schindler’s List” (1994), “Driving Miss Daisy” (1990), “Rain Man” (1989), “Platoon” (1987), “Kramer vs. Kramer” (1980), “The Deer Hunter” (1979) and “One Flew Over the Cuckoo’s Nest” (1976). Crowd-pleasing equals less brainy according to this author. Yet, there’s more to it than this. The Lord of the Rings is a story of the complexities of Good versus Evil and how we can stand or not stand against the forces of destruction in our world. Braveheart is about revolution, seeking freedom for one’s people in the face of an overwhelming opponent. It too deals with corruption, and betrayal, and hope within the context of heartbreak. The Lord of the Rings is called less brainy, yet I dare say that if one compares the braininess of JRR Tolkien with, say, Annie Proulx (the writer of Brokeback Mountain), one would not have to go very far into their biographies to see that such a comparison would be silly. There is no comparison. In all categories Tolkien wins. So who would have a better consideration of the depths of human nature and the complexities of a story? However, the Lord of the Rings is not considered as good of art because of its philosophy and theme. It is transformative upwards. It raises one’s consciousness and points towards the redemption of this world. It speaks to an ancient part of the human soul which yearns to overcome the baseness of this world through total release of selfish desire. The ring is the temptation which seeks to tear us all down and the ring is destroyed in a quest that involves a community. To be art, to be brainy, however in today’s critical circles, the ring would have conquered Frodo, and despite all their efforts, the party would have been lost, the kingdom overcome, and the Shire would have been paved over. The facing of the struggles in contemporary art are only seen as valid if it is the struggles which overcome. There is no honor, there is no value, there is no morality. There is only the complexity of temptations and deceit which depress the soul into finding value by commiserating with other failures. These are art because they are, oddly enough, non-judgmental. They tell us it’s okay to give in, it’s natural to give up, we all have temptations and we all succumb to the evils of them. There is no redemption, and the “artist” illustrates the depths of human despair and how because life is complicated there is no hope for light. There is only pain, and the more pain, the more morally ambiguous without pointing to some higher state of life, the more artistic it is found, the more “real” it is. I suspect, oddly enough, this is the real result of a consumer society, in which the great majority of people grow up with few struggles other than their complex emotions, and so magnify their inner wrestlings and failures into some majestic art form. They have not toiled or sought or laid claim to possibilities which entail sacrifice. So, in their lack of real achievement or being, they celebrate their lack and celebrate others who share their lack. Art becomes a comfort to those who, ultimately, despair of becoming a real person. Art, however, is historically something else. Art, historically, has been primarily transformative upwards, giving light to those who are caught in destructive attitudes. This is a feature of art which is long lasting and which resonates broadly and deeply. For those who struggle with forces outside their own vagaries, art becomes a tool of hope, of promise, a way of pointing to a reality beyond the muck and mire. Art now despises this upwards transformation because while it raises the hopes of those in the mud, it also challenges and provokes a person to become better. And the fact is people now do not want to become better, they do not want others to become better, they’d rather be told they are alright as they are, even as they are miserable and sad and empty of real being. Art, then, rather than being restorative becomes corrupting. Art of today makes us less of a person, makes us weaker, depressed, and saps the redemptive possibilities from our consideration. So strong is this corruptive perspective (corruption being the proper word for that which is transformational downwards), there is no other possibility of considering art as being something else. Art which is hopeful is automatically consigned to being less brainy, or cheesy, or cliche. However, in reality, there are few things more cliche than sin. Sin and failure are cliche. Giving into temptation is cliche, taking the easy road is cliche. Becoming corrupt and corrupting, deceiving and betraying. These are cliche. And they do not take much of a brain, nor much of a soul to accomplish. However, to find freedom, as in Braveheart, or to overcome evil, as in Lord of the Rings, has little to do with cliche or a lack of braininess. Dare we compare the historic William Wallace with Frankie Dunn (the Clint Eastwood character in Million Dollar Baby). Did the latter face more difficult moral complexities, and with greater insight into human reality? Can we compare the leaders of the right-to-die movement with those who lead their countries into new political realities? Does it take more braininess or art or character or being or any other definition of humanity to leave one’s wife for a past lover? Or rather, do we look in history and remember those who overcame their weaknesses, stayed true to their commitments, and let go of their personal ‘rights’ in order to further their community and society and family and reality? Art which is corruptive lies. It tells us “we’re okay” when we are not. It tells us to go after our base emotions and seek the sustenance of our own being, no matter the consequences to anyone else. It lies because it speaks of a reality which seems true and comforts by lulling us to moral sleep. It, however, is not true. And because art has become lost in downwards transformation it no longer fulfills its function as Art. Artists become self-referencing, elitists, and complicit in furthering the moral dictates of present society. Rather than being prophets they become the fools. And they are forgotten. Even the modern artists sought in their forms and colors and non-representational shapes to point humanity to a new real of consideration. Contemporary artists, however, say just the opposite, that we strive too much and should reduce ourselves back into our most vulgar instincts, no longer able to discern right from wrong because doing so would take intellectual effort and moral courage. And thus we have the truth which defines too much of our present culture. Artists are cowards. They wallow in their fear and call it insight, and they bathe in their shallowness and call it truth. Not all artists are like this, most certainly. But, those who are about things that transform upwards are at the peak of Kandinsky’s triangle. Those who win awards and are acclaimed are at the base, where low minded men and women “get them” and honor them. As a note, this isn’t about the artistic qualities surrounding a movie, or show, or some such thing. Something can indeed be beautiful, and be a lie. The question is what we accept as lies or as truth. This is something the Holy Spirit in us should discern, accepting what is light and rejecting what is darkness, not so we can be judgmental, but so that we can be redemptive and resonant. Art now is directed towards destruction, and no longer even understands the transformative power of Merry Christmas. Fortunately, the many masses instinctively reject the pedestal which Mr. Hyde is placed upon. For no matter how many awards, and honors, and plaques, and accolades this wizened fiend may receive, people still see him as ugly and foul. It is only the wizened themselves who honor Hyde for being the ultimate non-judge, and thus the only allowed muse of Art so-called. Artistic humanity is at a low ebb of artistic achievement, and the very artists who think they are rejecting the bourgeois are themselves the most drunk with its lulling deceptions and enticed by its calls for conformity to mediocrity.